Volunteer at the Friday Cafe! Free food to those who volunteer! Please arrive at the Great Hall by 11:45 am to receive instructions on serving food. Sidenote: volunteering is open to UCSD students, faculty, and staff ONLY. Please email Gianni Deborah at dgianni@ucsd.edu if you have any questions. 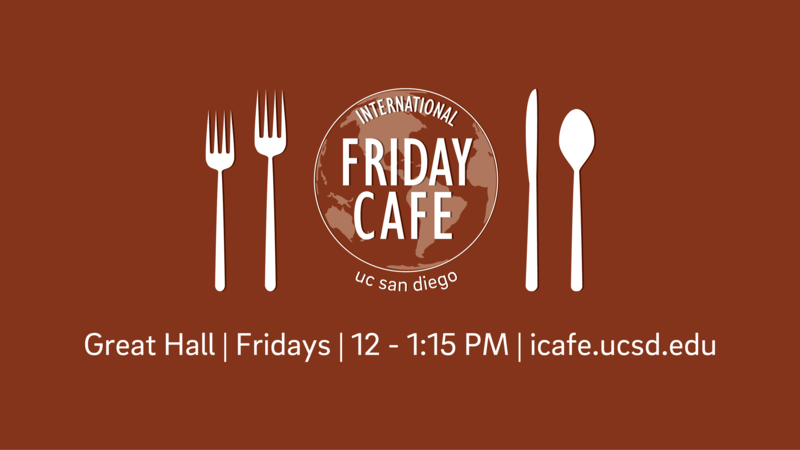 Visit icafe.ucsd.edu for more information on Friday Cafe.